I wanted to take some to summarize a lot of what has been previously said here on Live A Longer Life and bring to your attention a resource that was emailed to me not too long ago. A reader recently forwarded me a link to a website that basically summarized the longevity secrets as discussed and highlighted in The Blue Zones. In case you missed it you can see my review of The Blue Zones here. The Blue Zones as you recall was a book that analyzed the longevity secrets of various subsets of cultures who lived abnormally long compared to the rest of the population and world. The premise of the book was to identify things these people were doing that helped them to increase longevity. The book was not really a scientific study of the art of living longer or a scientific guide to longevity science but it did mimic many of the longevity secrets I’ve shared here on this blog over the past year. The article emailed to me is a great resource for further breaking down the book and it’s finding and I invite you give it a look for a great in depth summary of how The Blue Zones authors believe you can increase Longevity. You can take a look at the article here at Surgical Technician Schools. To summarize yet again what has already been said you need to keep the following things in mind and address each on individually in your life. By doing all of these you will not be guaranteeing an increase in longevity but you will be greatly improving your chances. 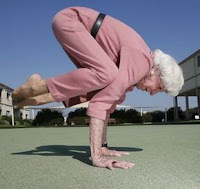 To increase longevity you should generally live an active life full of either exercise, physical work, or some of both. It is not really necessary to work out to exhaustion either; simply taking part in regular and routine light to moderate exercise should be enough. You can see my post on how exercise promotes longevity for more on this. People who eat less food tend to have increased longevity compared to their peers who eat larger portion sizes. This concept has been noted time and again by countless studies of wide varieties of animals and it is a practice widely adopted by groups of people across the nation. The Calorie Restriction Diet or CRON diet encapsulates the concept in that people following the plan try to get as much nutrition as possible for each calorie they consume. No calorie goes wasted and the goal is to shoot for an average calorie decrease in consumption of 20-40 percent. If you make sure you live your life with a sense of purpose studies and statistics show you will be far more likely to increase longevity regardless of anything else you do. Even if you have bad personal habits people who have a purpose in life tend to live longer than those who have nothing going on. You can see an old post of mine on this topic of living a longer life with purpose. Another statistical sure-fire method of increasing longevity is to live your life with a positive attitude. In my post on beating depression I discuss the concept of positive thinking and how it helps the body recover from illness. The concept is that the mind is more powerful than the body at times and can will the body to live longer simply by desiring it. Powerful stuff. You can also read a related article on the topic highlighting the benefits of having positive personality traits. Lastly lessons from the Blue Zones show us that people who live long lives tend to eat traditional meals which have been shown to have synergistic qualities. By eating good foods together you often will find better nutrition than if you ate the same foods separate. One easy illustration of this technique is to use food science findings and apply it to our cooking. Black pepper and turmeric have been widely shown to be very nutritionally sound when consumed together, far more so than if they are consumed separately. Similarly other foods can offer the same types of synergies such as olive oil and fat soluble vitamins. Of course you can do all of these things but there are always specific ways to live better without making major changes to your lifestyle. For that reason I wanted to direct you back to my index for general Longevity Tips. Many of the posts here on this blog revolve around the topic of how to increase longevity and as they go live many will be included on this index. If you are a new reader of this blog I’d like to invite you to head into the archives and see what miscellaneous longevity tips there really are. Of course we don’t have complete control over our longevity; there is a great deal of luck involved. This is easily illustrated by the prevalence of accidents at work and at home. It’s also illustrated by the countless people who get seriously ill with no warning and for no known reason. However, despite these potential pitfalls we should truly believe that we are capable of improving longevity and living longer and better lives.